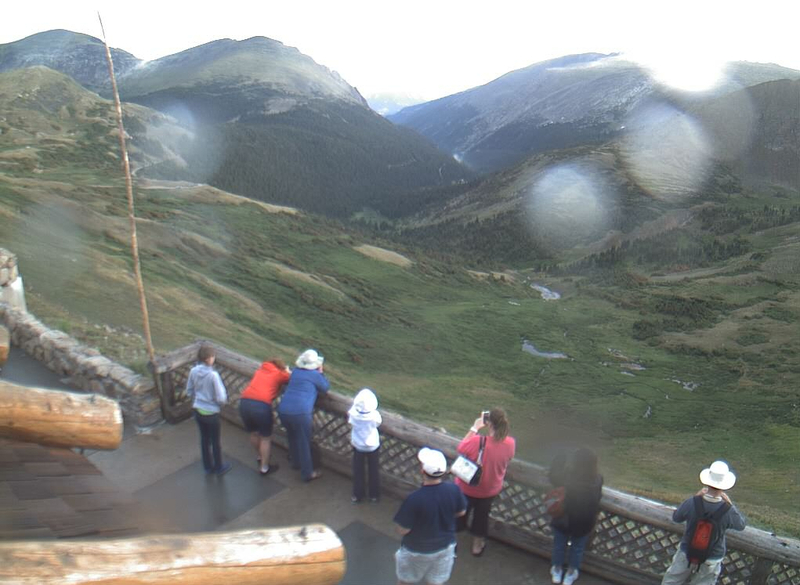 The webcam at Rocky Mountain National Park’s Alpine Visitor Center on Trail Ridge Road is up and running for the 2013 season. The URL is not the same as last year, so be sure to update your links. 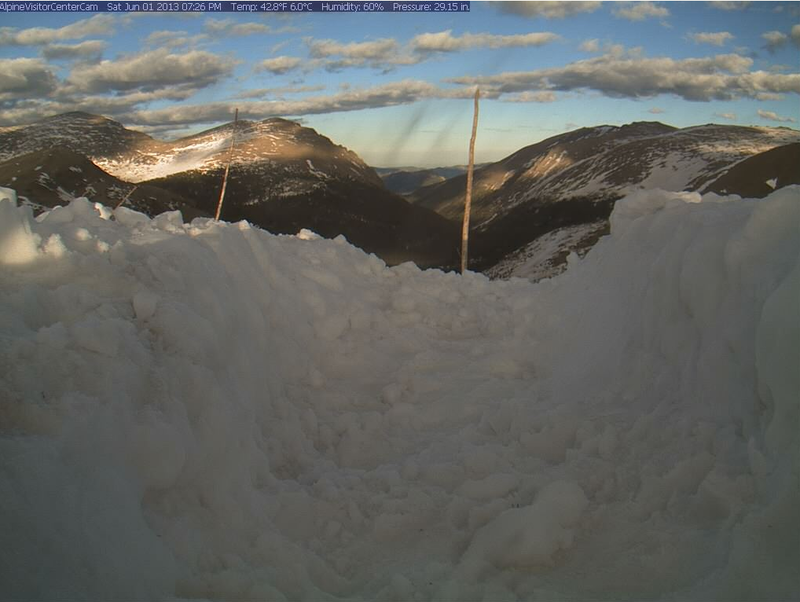 Looks like someone cleared some of the snow away to open up the field of view, but it will take another upward nudge and a lot more melting to look like last year. 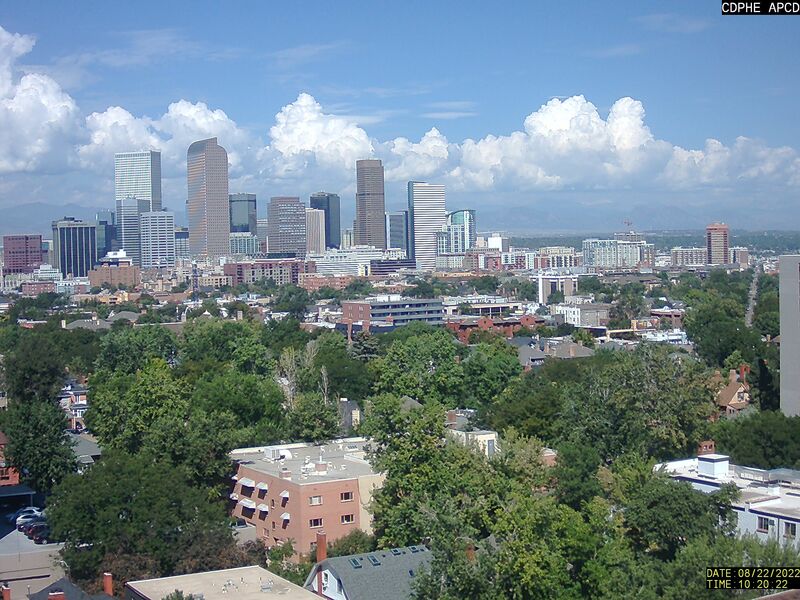 Thanks for posting the comparisons of the view so far-wasn’t sure when they might have time to get to the camera. The snowbank along that viewing wall and on up the ridge line to the right is some of the last to melt. But I’m with you hoping they might clear a bit more so we can see the beautiful high country! Looks to me like the snow is what’s piled on the back deck, and because it’s a prime overlook for visitors (and view from inside), I’m guessing they’re hard at work clearing it — presumably by hand. Hi PT- wasn’t sure if another reply to an old post would work… but just looked at the visitor center cam & the snow has melted enough to see the railing now. Comparing the shot you posted with the live one… that’s a lot of quick melting. Wish we could scoop loads of that wet slushy snow onto the wildfires. Even more, I hope people pay attention to fire restrictions, to include cigarette butts! I leave comments open on old posts. You can comment on ancient stuff any time. 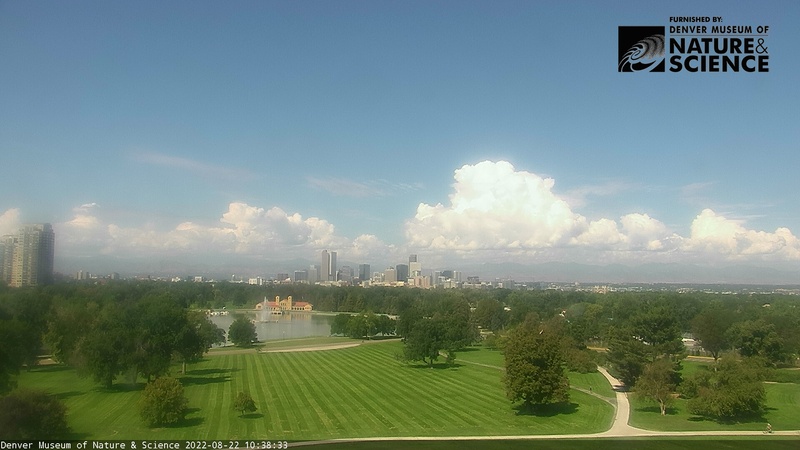 Yes, I check this webcam (and several others) almost every day and have been amazed (and dismayed) to see how fast that snow has melted. I like to think a little bit of it made it onto the fires by way of evaporating into storm clouds.